Condemnation has continued to trail the announcement of Teleology as the preferred bidder for 9Mobile. The latest of the trenchant condemnation rails at the perceived tardiness by Barclays Africa, the financial advisor to the sale of 9Mobile. Making the condemnation in a statement issued in Abuja, a non-governmental organization Business Renaissance Group (BRG), noted that the letter said to have been sent to Teleology by Barclays Africa was hasty and preemptive. According to the statement co- signed by its President Mazi Omife I. Omife and its Secretary Dr. Funso Akomode, the group stated that Barclays Africa jumped the gun in announcing a preferred bidder. It noted that in a meeting held with the interested bidders on the 26th of January 2018, Barclays gave the two finalists in the bid process: Teleology Holdings and Smile Telecoms Holdings the opportunity to increase their bid for 9Mobile within 30 days which brought the deadline date to Monday February 26, 2018. The group wondered why Barclays could not wait till the 26th of February 2018 before its apparently preemptive announcement of a preferred winner. It therefore alleged that Barclays had merely changed the rules while the game was at its climax. Further alleging bias against Barclays in the handling of the sale of 9mobile, BRG recalled that Barclays had earlier affirmed that any preferred bidder on selection will need to sign a Sales Purchase Agreement immediately and will have to instantly pay a non-refundable deposit of USD 50 million. It decried a situation where Barclays has now given its announced preferred bidder 21 days to pay the non-refundable fee of USD 50 million. To BRG, this is a classic case of bending the rules and shifting the goal post to favour a particular team. 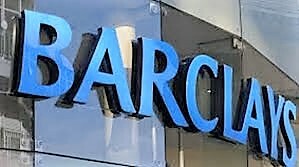 The group further underscored its allegation of a less than transparent handling of the entire bid process by Barclays Africa by recalling that some of the earlier entrants, among them two major GSM network operators, had opted out of the process alluding to lack of transparency. It also claimed that at least two major vendors of 9mobile rejected the financial offers of the preferred bidder and had no confidence in weak and unrealistic business plan presented. And wondered how such a bidder with questionable business plan would be able to sustain and improve the operations of 9mobile. BRG contended that the precipitated announcement by Barclays is indicative that the preferred bidder did not satisfy any of the precedent conditions. It therefore called on the regulatory authorities especially the Nigerian Communications Commission (NCC) and Central Bank of Nigeria (CBN) to take more than a passing interest in the bid process. It advised that instead of the regulators especially NCC merely giving a stamp of approval to the seemingly contrived result by Barclays, the commission should undertake a review of the entire process with a view to ensuring that strict adherence to the canons of corporate governance and transparency are upheld in the 9mobile bid process.